Sacramento, CA – On September 18, the California Court of Appeals 3rd District upheld a 2015 Superior Court ruling affirming claims made by conservation, environmental justice and fishing groups that the State has failed in its duty to protect public health and the environment from agricultural pollution on California’s Central Coast. This ruling will have far-reaching implications for how agricultural pollution is regulated across the entire state. 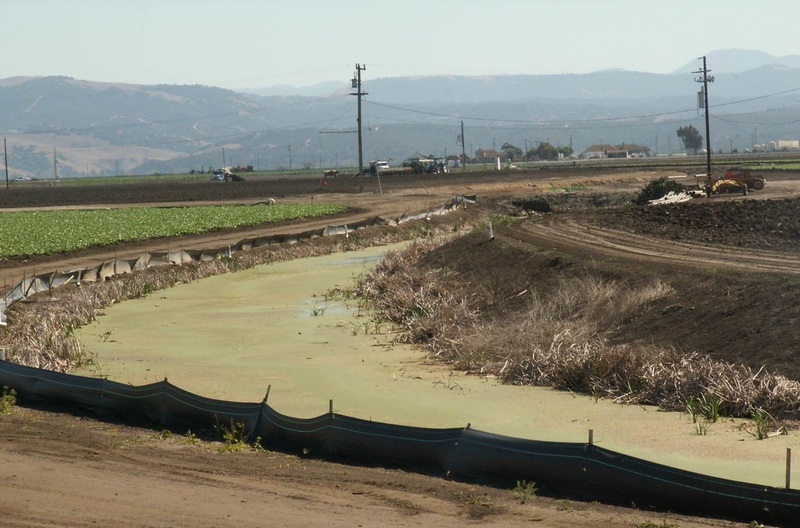 The appellate court struck down the State order for Central Coast’s chronic agricultural pollution because it fails to comport with State law and policy, and ultimately is not in the public interest. In doing so, the appellate court affirmed the groups’ fundamental claim that regulation of agricultural pollution must be based on the state’s Nonpoint Source Pollution Policy, that the State Water Resources Board essentially ignored. Despite siding with the State on two minor points related to tiering and monitoring, the appellate court found that the order is illegal and directed the State to go back to the drawing board and write a new order that complies with the law. The ruling comes five years after the coalition of nonprofit organizations and an elderly woman whose tap water is too contaminated with agricultural waste to drink filed suit in Sacramento Superior Court challenging the Central Coast “Conditional Waiver of Waste Discharge Requirements for Discharges from Irrigated Agriculture” (also known as the Ag Order) and amendments made by the State Water Resources Control Board to cripple the already weak order. The coalition alleged the Ag Order was so weak it did not comply with state law and allowed ongoing pollution of groundwater and surface waters throughout the region impacting drinking, swimming, fishing, and other uses. The coalition included Santa Barbara Channelkeeper, The Otter Project, The Environmental Justice Coalition for Water, Pacific Coast Federation of Fishermen’s Associations, and California Sportfishing Protection Alliance. Experts conclude that current trends will make much of the groundwater in California’s primary agricultural regions undrinkable by 2050. Already, perhaps as many as a million people in California’s rural agricultural regions lack clean drinking water in the richest state in the richest country in the world.i For decades the State Water Resources Control Board and regional boards have failed to control water pollution caused by wasteful agricultural practices. In 2015, Sacramento Superior Court Judge Timothy Frawley ordered the State and Central Coast Regional Water Quality Control Board to create a new scheme that better protect human health, the environment, surface water and groundwater from agricultural pollution. Instead of doing so, the State Attorney General and the largest agricultural interests in California appealed the 2015 Superior Court decision. Despite Judge Frawley’s ruling declaring that the Central Coast Ag Order does not comply with the law and fails to protect the public interest, the Central Coast Regional Water Quality Control Board simply extended “essentially the same order” (the Board’s own words) in 2017 for another three years. The Appellate Court’s three-judge panel heard the State’s appeal on July 16, 2018. The hearing lasted less than 30 minutes, with the panel asking pointed questions of the State and agriculture representatives. At times the judges seemed openly skeptical of their replies. It is unclear whether the State and agricultural interests will pursue review by the State Supreme Court or will make earnest efforts to comply with California law. “This ruling is a huge victory for waterways, coastlines, and communities that are impacted by chronic and severe agricultural pollution,” said Santa Barbara Channelkeeper’s Ben Pitterle. “Agriculture has every right to use the public’s water, but they do not have the right to return it so polluted that it kills the life that lives in it and depends on it,” said Steve Shimek, Executive Director of The Otter Project and Monterey Coastkeeper. “The court is clear: The Non-point Source (NPS) policy is mandatory. The State cannot modify or dilute it through Agricultural Orders. This will help Central Coast communities to realize the Human Right to Water in the years to come,” said Colin Bailey, Executive Director of The Environmental Justice Coalition for Water. “The decision is yet another significant victory by those whose livelihood and health is dependent upon clean water to compel regulatory agencies to enforce laws enacted to protect our rivers and fisheries,” said Bill Jennings, Executive Director of the California Sportfishing Protection Alliance. “Agricultural pollution is one of the deepest of the thousand cuts keeping California’s fisheries from recovery. Agencies that aid and abet polluters keep standing in the way of our progress to restore Central Coast fishing jobs, and we therefore applaud this common-sense ruling,” said Noah Oppenheim, Executive Director of Pacific Coast Federation of Fishing Associations. Executive Director Sean Bothwell leads CCKA’s initiatives to protect and defend California’s ocean, bays and rivers.